Newcomers to Japan will have enough on their plates trying to deal with an unfamiliar language, new products with hard to read labels, and the specifics of a new work/living arrangement. But there is one thing that can present a unique challenge – familiarizing oneself with Japanese etiquette and manners. To some degree Japanese etiquette and manners govern all parts of Japanese society: interactions between strangers, between family members, between friends, colleagues and different organizations, as well as what’s expected in situations where you aren’t directly interacting with anyone (i.e. taking off shoes when entering a building). Some of the finer parts of Japanese etiquette and manners can take years to master (most Japanese aren’t masters either) but in this piece will hopefully explain some of the social forces at work in Japan and then how those relate to situations a new JET will commonly find themselves in. It may be weird for someone from the West to hear phrases like this but a person’s social standing governs how someone is supposed to interact with the people around them and in turn how the people around them must act in return. To put this even more simply social hierarchy is representative of a person’s relative status in society or in a work setting and dictates who has to be polite to who. In the social hierarchy of a school for example the teachers are “above” the students but “below” the vice principal and principal. This means that the teachers must be especially polite when speaking with the principal but can speak more informally or neutrally with the students who must be polite to everyone. This may sound intuitively similar to most social hierarchies you would be familiar with back home but it is much more regimented in Japan. This is why official business titles are so important because it makes it very clear where someone stands on the totem pole and to whom one owes deference. Social standing has a big impact on the language forms one uses when speaking and so two strangers who meet for the first time will spend the first few minutes of a conversation trying to figure out who needs to be more polite. Japan is a very group based society and many social attitudes will have to do with whether you are “in” the group or “outside” of the group. This can get complicated when the “group” in question and its boundaries get vague. To give a school-based analogy all members of a school from the principal to the students and nurses are part of one group. This means that people will tend to identify as a member of “School A” when dealing with members from other schools and will tend to naturally defer to their own group and give group members the benefit of the doubt. That being said, within “School A” there are several grades, multiple classes per grade, and plenty of clubs which will each function as a “group” involving group loyalty and priority. Things get even more complicated when you realize that within each group there will also be a social hierarchy governing relations and actions and deference but that this will change depending on whether the action is taking place within the group or with an outside group. For example, a teacher will be very polite when speaking about their principal to someone who works in the same school as them but they will instead speak humbly about their principal if they are talking to someone from a different school. Whether you fully grasp the dimensions and interplay of the “group” in question it’s important to realize that most situations and interactions are viewed through this lens of “in group” and “out group” and how you act within the group as opposed to with other groups can vary widely. Keeping up and maintaining appearances is very important in Japan. Everything from the flourishy wrapping of a present to the gloves taxi drivers wear, all manner of social behaviors can be in some way explained as an attempt to maintain a good appearance. Store workers will say hi to you when you walk into a store to show you that you are welcome. Those same workers will bow as you leave to show you that your business was appreciated. Even a simple present will be wrapped extensively to show that it –and by extension you the customer— are being treated with respect. You might notice that colleagues who have nothing to do still act like they are working hard and senior executives at companies or schools will stay late despite no pressing projects. Delivery men will sprint from their truck to your house to show that they are doing their best to get you your package as soon as possible, and people won’t take their contractually mandated vacation time because they want to show that work is the priority and that they are focusing on work and not a beach house in Okinawa. Japan is a small country with a large population and lots of people living in tight-knit communities with a lot of public visibility. This is why the perception of something is usually more important than the way it actually is. Honne and Tatemae are Japanese words that describe the contrast between a person’s true feelings and desires (honne) and the behavior and opinions one displays in public (tatemae). A person’s private thoughts or opinions in regards to something may run counter to accepted social norms, the general opinion of a group or company, or the professional/social expectations of someone given their position or circumstance and so will usually be kept private. Since tatemae is what is expected by society and required according to one’s position and circumstances it is quite often that these two do not match. Many social phenomena make a lot more sense when viewed through the lens of “honne” and “tatemae.” A simple example would be “Why does everyone wear suits to work?” Well, everyone wears suits to work because “that’s what you wear to work.” That is the social expectation based on the position of being a full-time employee. But now think about the people you know: teachers, civil servants, students, part-time workers, full-time workers, etc. and then think about how one would be expected to look, and act in their situation. This need for harmonious relationships between people is reflected in most Japanese behavior. Many place great emphasis on politeness, personal responsibility, and working together for the universal, rather than the individual, good. 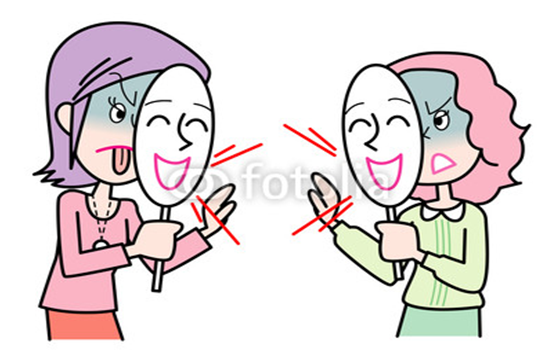 Disagreements are avoided as much as possible, and rejection and refusal are done in a gentle and indirect fashion. 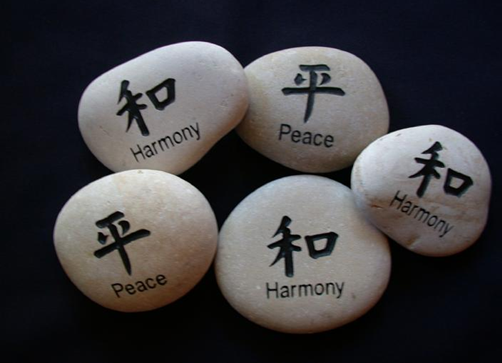 Harmony is viewed as the crucial ingredient for working productively. Students may refrain from participating in class for fear of sticking out and making their classmates look bad, and a young employee may refrain from correcting his manager who is making mistakes during a presentation. As mentioned in the previous section about appearances, many see harmony as a cultural necessity resulting from a large number of people living in a comparatively small island nation. Close-knit co-operation and the avoidance of conflict are considered to be of vital importance in everyday life. This information was based on a conference presentation by Saga City Coordinator of International Relations Alex Varney.